Long lasting, versatile steel chain. Looking for strong rust-proof chain? Our galvanised chain will suit any use you can think off. From securing a yard, to cleaning up around the farm, there is little our chain can't do. Looking for a versatile and long lasting chain for use on your farm? Our galvanised chain is made from quality steel to ensure a strong chain. Our 3mm and 4mm chain is great for dog chains. Looking for a strong chain for your gate? Our 5mm, 6mm and 8mm chain is perfect for securing your gates and stockyards. Maybe you need something heavier to clean up around the farm? 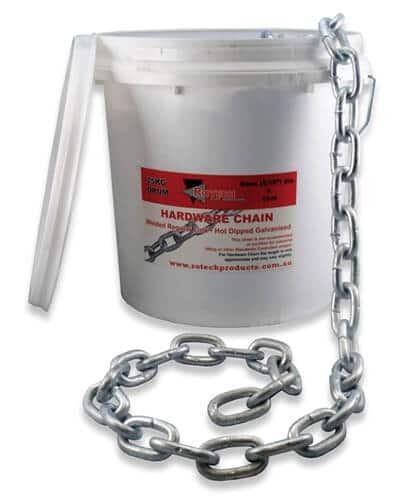 Our heavy duty 10mm and 13mm chain is perfect for heavier jobs. 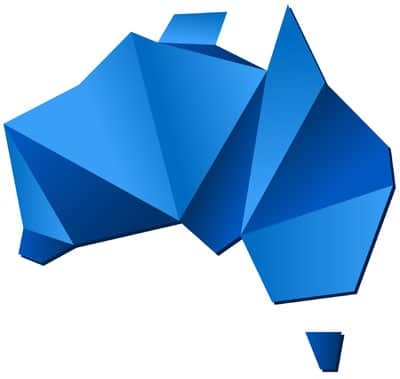 No matter your requirements, we can help. Are your chains load tested? No. Our chains are not load tested. We recommend you do not use our chains for lifting or towing heavy loads. If you plan to use your chain for heavy lifting and towing, we recommend you purchase load rated high tensile chain. But for everything else, our chains are perfect for the job. A D-shackle is a great option if you want to attach your chain to other objects. However, you will want to make sure you pick the right D-shackle for your chain. 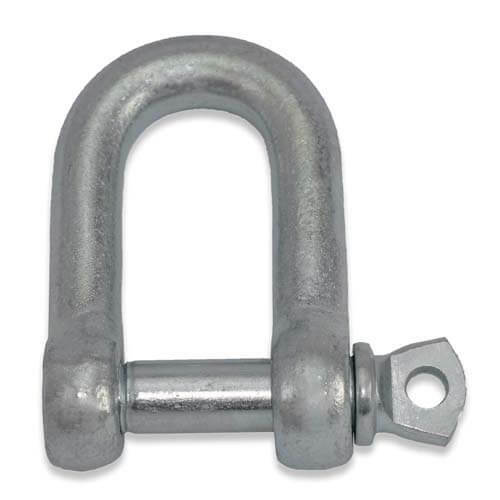 When choosing a D-shackle, you will need to find out the inside width of the chain link. The pin of the D-shackle will need to be smaller than this width in order for it to fit through your chain link. In this example, the inside width of an 8mm chain is 11mm. This means you would want to get a D-shackle with a pin diameter (Ø) of 10mm or less. (An 11mm pin might be too tight a fit).